LA, October 2018 – This year at SEMA you can expect to see some of our newest dash cameras in the GoSafe line! Designed with safety in mind, Papago will introduce the GoSafe 366, the GoSafe S10Wifi, and the GoSafe B10. All three dash cameras are created with user friendliness in mind to create the best possible experience for the modern driver. GoSafe 366 – is a dual dash cam that features a 3.5” touch screen to give users easy access on users. Consumers have been asking for Wi-Fi connectivity through their dash cam so data can easily be received and transported and have real-time live view, so we brought in this new feature. When the car is parked the dash cam will be able to record 24/7, so your vehicle is always being surveyed. If the dash cam detects any motion it will begin to record. To make things even better this dash cam has anti-corruption technology so that users will no longer need to reformat their SD card periodically and store more footage that will support up to 256GB. GoSafe S10Wifi – is a small and discreet dash cam that does not feature a screen. This is great for drivers who does not want to obstruct their view and still record everything on the road. To view and transfer footage users will be able to easily access it through Wi-Fi connectivity. GoSafe B10 – What is great about the GoSafe B10 is that it’s a dual dash cam but set in one device making it quick and easy to set up. The dash cam records in the front and inside the cabin of the car. This also features the Sony Exmor sensor so recordings will be clear day and night. 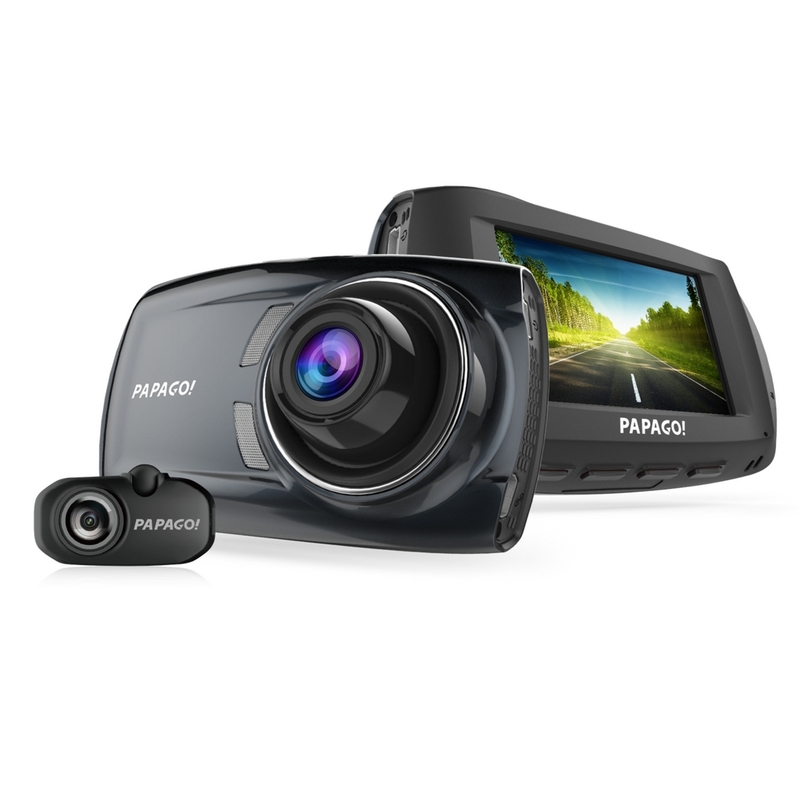 Papago Inc. is years ahead of its competition when it comes dash cam firmware, features, and quality. To see for yourself, visit us at North Hall, Booth # 12049 at the 2018 SEMA Show. http://us.papagoinc.com/wp-content/uploads/2014/11/logo_light_header1.png 0 0 Paulina S http://us.papagoinc.com/wp-content/uploads/2014/11/logo_light_header1.png Paulina S2018-10-18 11:37:002018-10-18 11:37:00What to expect from PAPAGO! at SEMA 2018! Transportation services like Uber, Lyft, and Rideshare have become increasingly important and popular in this modern age for people to get around. While many of these services are readily available, there are many risks for the driver who is providing these services. Some of these risks include car accidents, unruly passengers, and fraudulent claims. Since drivers never know who they are picking up each time, it’s always best to be safe and place a dash cam in their car when driving. Here are some cases where incidents has happened to drivers. With technology becoming more prevalent in our daily lives, getting a dash cam has become more accessible and affordable for everyone. It’s important that drivers protect themselves with a dash cam. If you are not familiar with what a dash cam is, it’s a camera placed on the windshield that records video and audio when driving. With a dash cam the driver is protected by this witness in any accidents or incidents. The recorded footage will give evidence of what happened before and after an incident. We are here to make it easy to find the right dash cam for your car. If you constantly have passengers in your car for work the GoSafe S810 or the GoSafe S780 maybe be the perfect reliable dash cam for your vehicle. Both of these cameras have a front and rear camera. They are also amazing in low light environments because of the SONY Exmor and Starvis sensors that are parts of the camera. You can place the rear camera on your front windshield to face inside your car, so you’ll be able to see what’s happening inside your car at all times. Even if you don’t need the rear camera recording inside your car, you can face this camera facing your rear on your rear windshield to record what is happening behind your vehicle. With a dash camera in your car you’ll be more safe and have peace in mind if anything ever happens to you. Check out the full specs to see which dash camera is better for you!